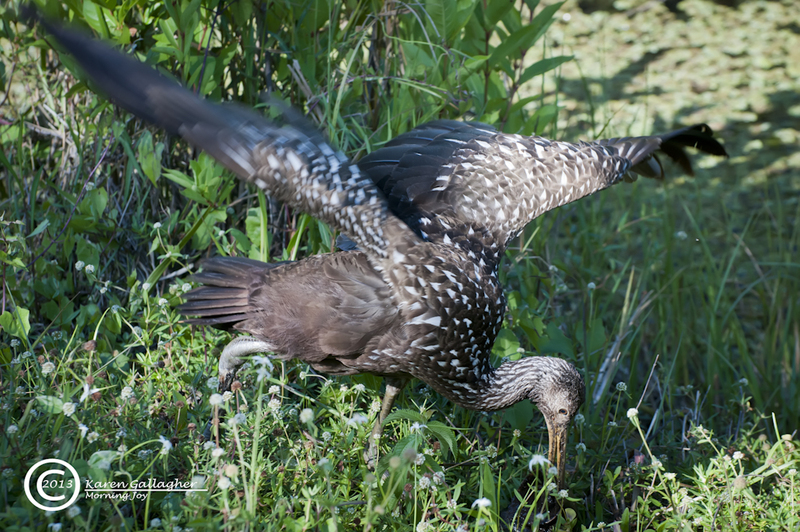 Meet the limpkin. 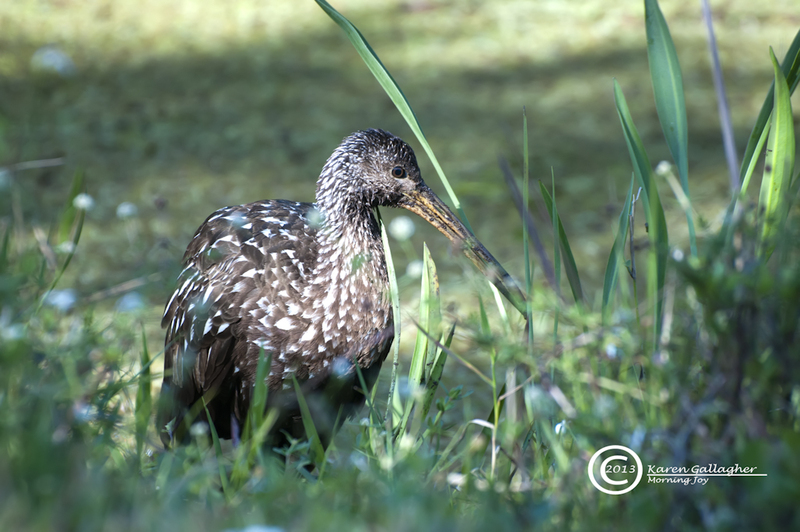 Not bothered by human eyes, this amazing bird lounges near the water’s edge. 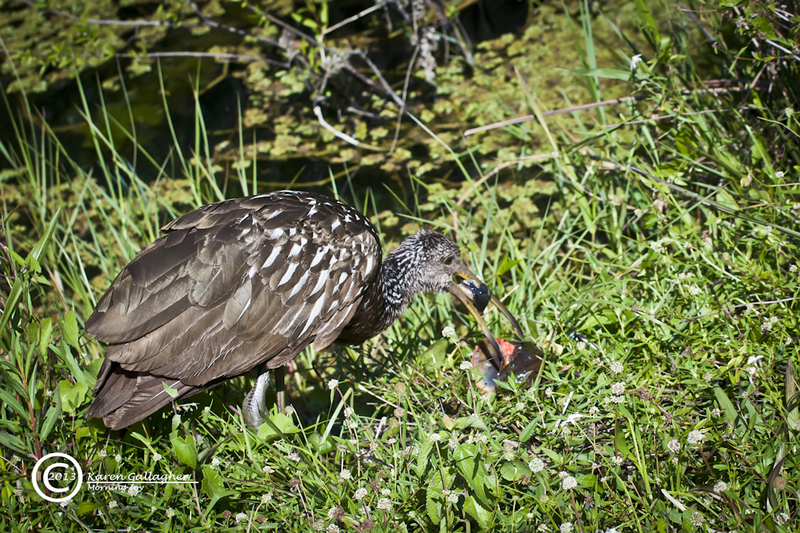 This limpkin has located an apple snail buried in the canal bank. Note her muddy beak. 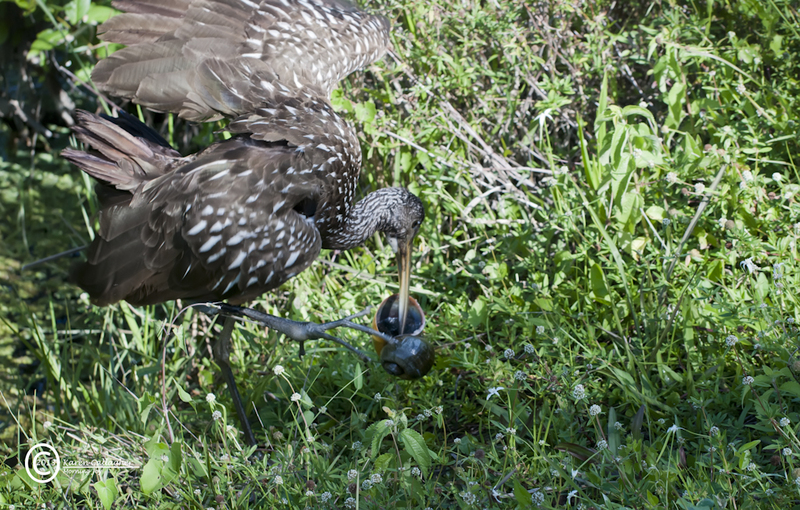 After repeated lunges her powerful beak finally penetrate a snail’s weakest place, its horny plate-like operculum. Laboriously she lifts the heavy load.This monster South American apple snail is an exotic. A little leverage and she’s in! 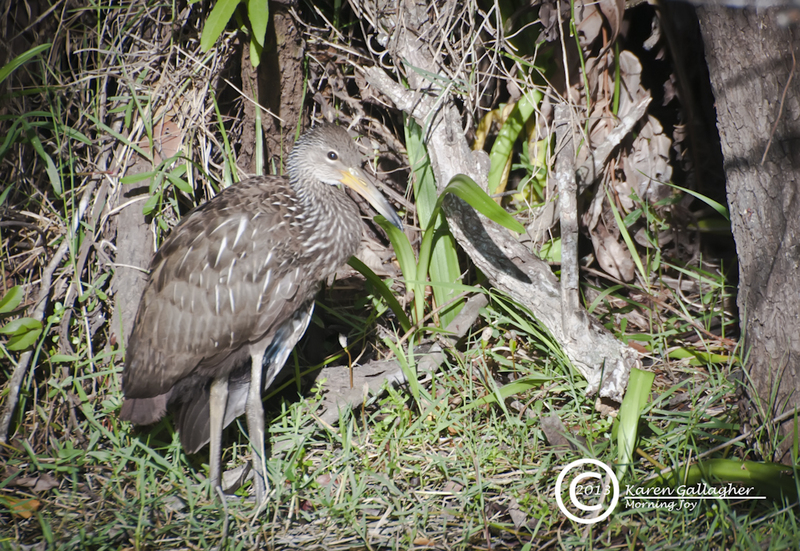 We encountered two limpkins along the borrow canal in Shark Valley, within Everglades National Park. The second one had located a large snail in the mud along the canal’s banks. With amazing persistence, she unearthed the snail while hammering at its operculum to get it open. Finally, after working for most of an hour, she managed to lift the snail onto the grass where she pried it open. 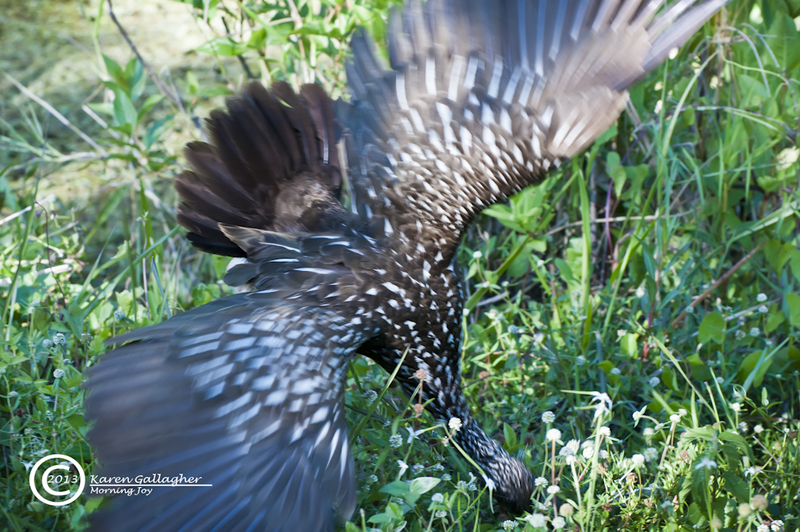 Her efforts fascinated a good sized group of onlookers of whom she seemed oblivious. We all silently cheered her on, happy that she ate the rewards of her labor and satisfied that she had removed one more exotic snail from the park. Precious Karen Those photos are just awesome. Are you going to enter them in a competition.